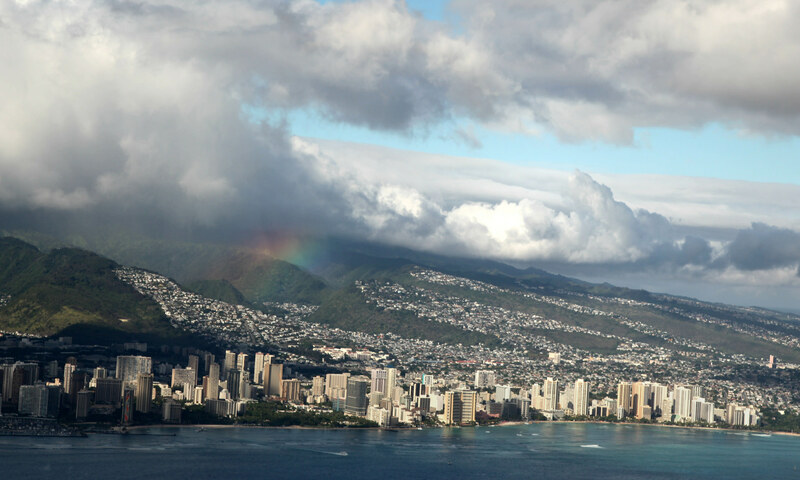 Honolulu has been established as a settlement for around 1,000 years. After being taken over by the United Kingdom, it wasn't until 1898 when the United States annexed the territory. It was incorporated in 1907 and was established as a base for the United States Navy. It is the site of where America became involved in World War II after the bombing of Pearl Harbor . Today, it is one of the most visited cities in all of the United States and is known for the beaches and beautiful weather. 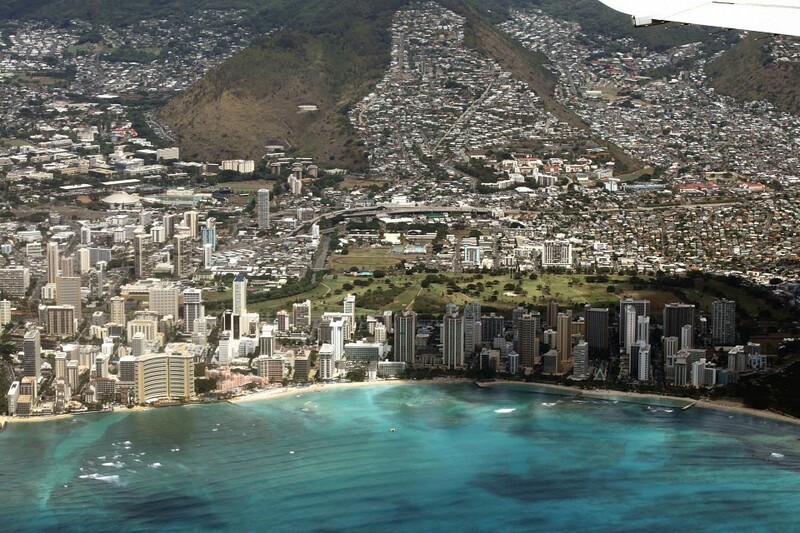 Honolulu's population has continued to grow since it became an American city. Each decade, it increases slightly and has reached nearly 400,000 resident. Unlike most major cities, the predominant ethnicity is Asian at 54.8%. 17.9% of the population is White while 1.5% are African American. A total of 8.4% of the residents are Native Hawaiian. 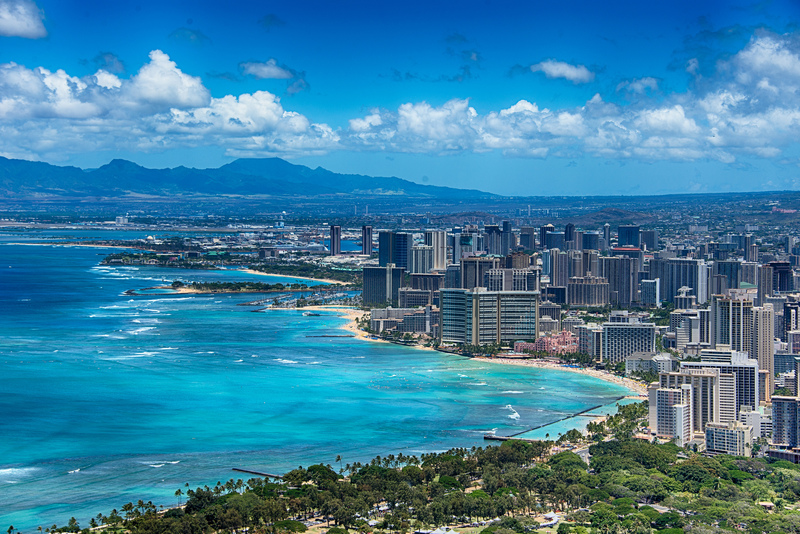 If you go to Honolulu, the chances are that you came to see the many beaches and swim in the Pacific Ocean. 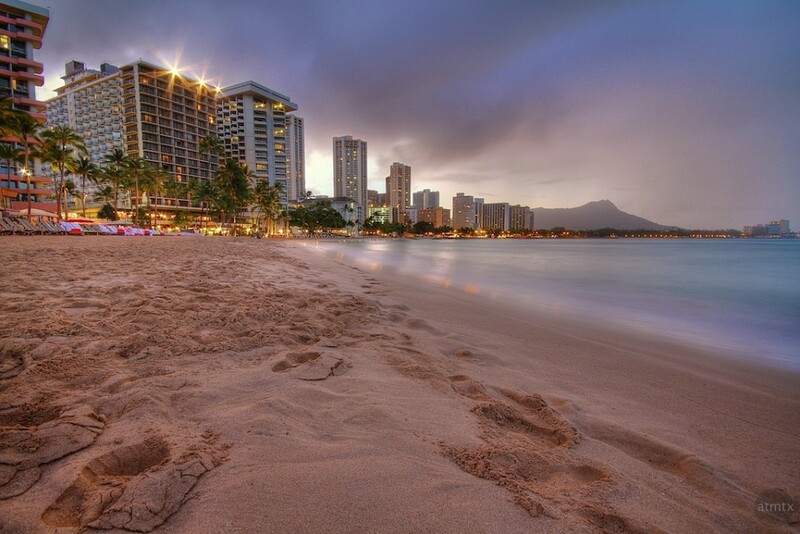 The most popular beach of all is Waikiki Beach, home to most of the tourists in the city. There are stores and hotels all along the beach, so if you want to experience a little less traffic, then head to one of the other beaches. Ala Moana Park has much fewer people and tends to be a favorite among the residents. To see a great beach, Hanauma Bay is where a volcano once used to sit, but has since become part of the ocean and makes for a unique beach and swimming experience. 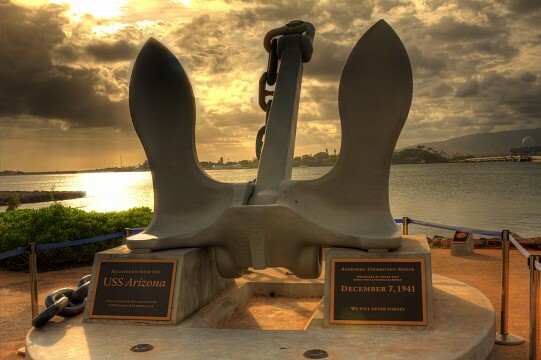 To see one of the most visited landmarks in the United States, the Pearl Harbor Memorial is the place you want to go. It is the site of the Pearl Harbor attacks and the USS Arizona Memorial sits underneath the water and is only accessible by boat. Make sure to get there early as the crowds can get very heavy and they only take a certain amount of visitors. 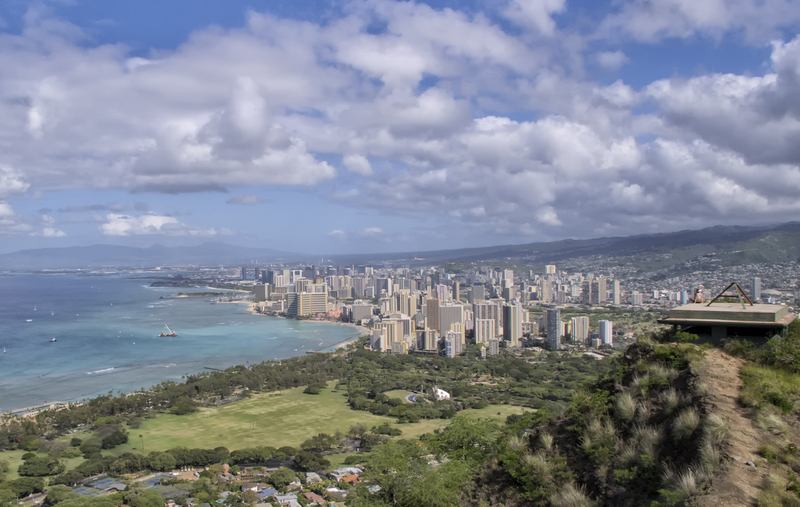 For natural beauty that isn't on the coast, you can check out the Diamond Head vista. It overlooks the beaches and is the remains of a volcano that has since become dormant and extinct. A bunker was set up at the top of the vista and is a great and challenging hike. For a museum type setting, you can also visit the Honolulu Zoo or the Waikiki Aquarium. While it is true that local Hawaiians love spam, it's probably not what you're looking for as a visitor. Instead, the best food in town comes from the local pig roasts, and pineapples are very much a part of the signature dishes. If you want to see where the locals are eating, then you should head to Zippy's. There are many located around the city and are open at all times of the day. There are many different dishes that are both local to Hawaii and to the mainland as well. The other spot that is popular amongst Hawaiians is the fantastic sushi place, Genki. It serves authentic Japanese dishes and is a hit amongst visitors as well. 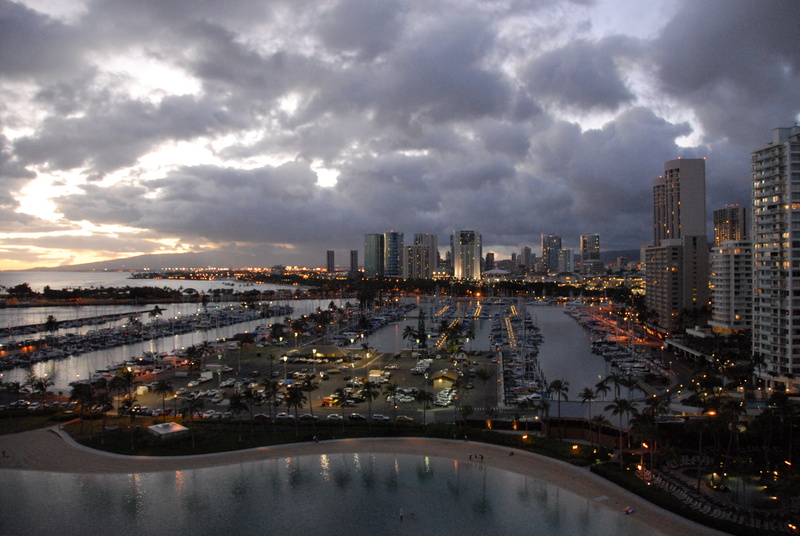 The hotels of Honolulu are mainly based on one side of the city, along the shores of Waikiki Beach. You will want to make yourself aware of when you are planning to visit as prices vary greatly throughout the year. When it is winter on the mainland, the prices will skyrocket in Honolulu at all hotels and can become booked very quickly. Many of the hotels in Hawaii are actually resorts that offer many great amenities such as surfing and golfing. (Side note: Hawaii has some of the best golf courses in the world). The most classic hotel of all is the Royal Hawaiian. It has been around for nearly 80 years and looks like an Arabian palace with a unique pink color. It is rated at five stars and offers a great location by the beach and enough activities to keep you busy for your entire visit. 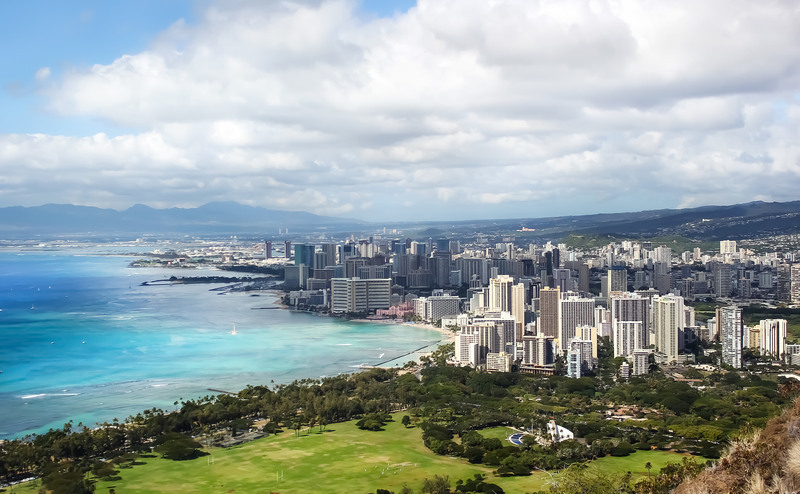 Since Honolulu has a very large tourism industry, you will find that a lot of the shops within the city are more aimed at these tourists, selling souvenirs and other trinkets to take home to friends and family. If you are looking for a more local taste, there are plenty of places to go. 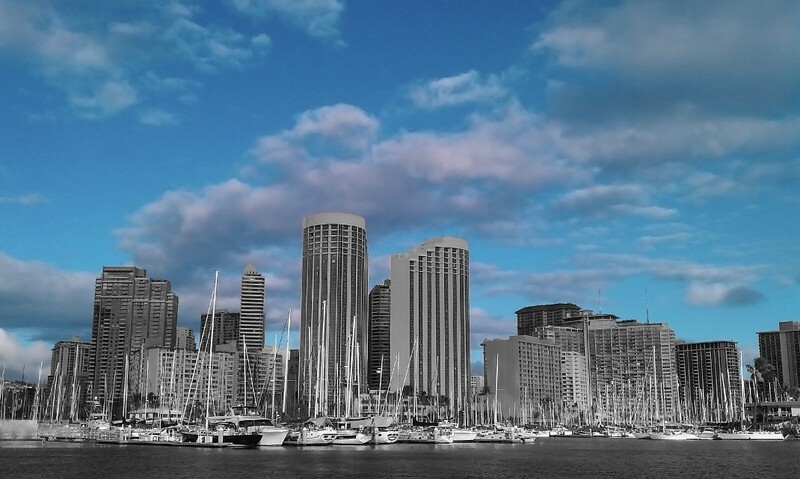 The east side of the city is home to Kahala Mall and Koko Marina which are traditional mall settings. On the west side, you can find a swap meet three times a week to see what the vendors are selling, which usually includes locally grown food and art. For the more touristy shopping centers in Honolulu, you can head to the International Market which is outdoors or the Royal Hawaiian Shopping Center. These are places in which you can find the souvenirs that have become very popular in Honolulu. Due to a major time difference from the rest of the country, Honolulu does not have a professional sports team. There are still sporting events to see, especially from the University of Hawaii Warriors' teams. They play their home football games at Aloha Stadium which is home to the NFL Pro Bowl as well as the Hawaii Bowl in NCAA Football. There are also marathons and triathlons each year that keep people entertained. The chances of running into a violent crime in Honolulu is next to zero. You will want to make sure you avoid some of the residents at night though, as drug use is very much high in Honolulu. For this reason, criminals are looking more for valuable items, especially from tourists, so keep your car in a safe area. Another thing you will want to know about in terms of safety is traffic. Cars drive very slowly in Honolulu so keep your eye on the road and don't get frustrated at pace of the traffic. 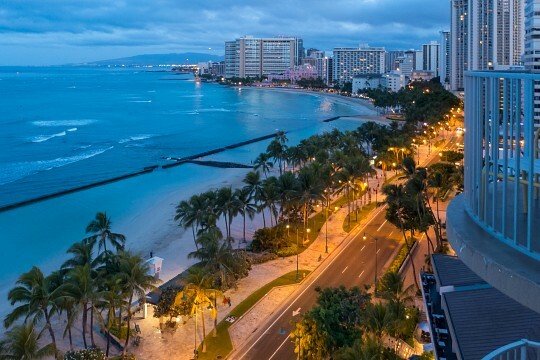 Unlike the other major cities in the United States, you will find on this site that there is no way to take a train or bus or car to the city of Honolulu if you live outside of the state. There are only two ways to get there, by plane or by sea. If you take a plane, you will be landing at Honolulu International Airport and all of the major U.S. airlines travel there. From there, you can fly to the other islands of Hawaii if you wish. You will want to get a rental car if flying. If you want to take your own car, you can use the Honolulu cruise pier that connects to the east side of the city. Once you are in Honolulu, it can be very difficult to get around in your car. Many of the street names are nearly impossible for someone from the mainland to pronounce, let alone remember. The streets are also not laid out in a grid formation like the rest of the states. Always keep a map or a GPS system handy if you are driving around the island and know where you want to go.